Milwaukee, Wisconsin – Tuesday, June 23, 2015 — Art & Soul Innovations, in collaboration with the Milwaukee LGBT Community Center, presents ‘Proud Theater Milwaukee: Come Out, Come Out, Whoever You Are!’ – a fun and exciting evening of theater, spoken word, poetry and music written by and starring the talented youth of Milwaukee’s premier Lesbian, Gay, Transgender, Bisexual, Queer/Questioning and Allied youth theater troupe, Proud Theater. Proud Theater is an award-winning, exciting and innovative youth theater program whose mission is ‘to change the world through the power of theater and the theater arts, and to make a positive difference in the lives of LGBTQ and allied youth through the tenets of art, heart, and activism’. 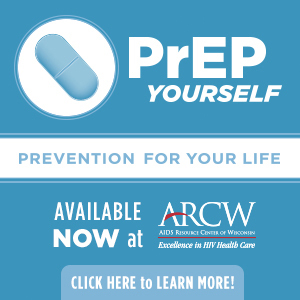 Founded in 1999 in Madison, Wisconsin, the Milwaukee chapter is one of 5 chapters in the state and is open to youth ages 13 to 19 identified as lesbian, gay, bisexual, transgender, queer/questioning or who are allied with the queer community (LGBTQA). Empowering and creative, Proud Theater encourages young people to share their own stories through original theatrical works which they then present to the community at large throughout the school year. The Proud Theater Milwaukee chapter started in April of 2013. Their first-ever full length show, ‘Come Out, Come Out, Whoever You Are!’ tackles many of the issues affecting youth today and does so with humor, heart and honesty. Sometimes outrageous, sometimes profound, the youth share their voices with the community in a no-holds barred and uncensored way. This year the youth take a look at coming out, racism, religion, bullying and the world at large. ‘Come Out, Come Out, Whoever You Are!’ opens July 10, 2015 at the Milwaukee LGBT Community Center located at 1110 North Market Street, 2nd floor, in Downtown Milwaukee and runs through July 11, 2015 with shows at 7:30 PM. There will also be a special matinee showing on July 11 at 2:30 PM. Tickets are a 10 dollar suggested donation and can be reserved via email at reservations@proudtheater.org or by calling the Proud Theater Hotline at 608-222-9086. Tickets can be paid for only on the day of the show and must be picked up no later than 15 minutes before show time, or the tickets will be made available for sale as seating is limited. The doors opens one hour before the start of the show. Proud Theater is a program of Art and Soul Innovations (artandsoulinnovations.org), and enjoys generous financial support from the Mukti Fund (muktifund.com) and the New Harvest Foundation (newharvestfoundation.org), as well as through the support of many community organizations from around the state, including the Milwaukee LGBT Community Center. The organization recently received the Diverse and Resilient ‘LGBT Sustainability Award’ for their work with youth around Wisconsin. 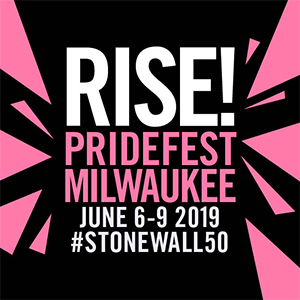 For more info on Proud Theater or ‘Come Out, Come Out, Whoever You Are!’ contact Executive Director Brian Wild or Milwaukee Artistic Director Callen Harty atinfo@proudtheater.org, or at 608-222-9086. Tax-deductible donations to the organization can be sent to: Proud Theater, P.O. Box 6306, Monona WI, 53716, or via PayPal at www.proudtheater.org. Unless otherwise specified, all donations from Milwaukee will be earmarked solely for the development and growth of the Milwaukee chapter.